Though GT Advanced Technologies Inc. did not reveal this week exactly when it will be supplying sapphire glass to Apple en masse, the company did issue a public statement revealing that its arrangement with the iPhone maker is "progressing well." Tom Gutierrez, president and chief executive of GT Advanced, was quoted in his company's quarterly earnings report on Monday as saying that build-out of the new facility in Arizona, which will supply sapphire glass to Apple for future products, began last quarter. GT Advanced also began to staff the operation last quarter, but unsurprisingly, Gutierrez declined to give a specific date as to when mass production will begin. "We are pleased to have Apple as a sapphire customer and to be in a position to leverage our proprietary know-how to enable the supply of this versatile material," Gutierrez said. "While our primary focus during the balance of the year is to continue to execute on our commitments in Arizona, our aim is to position GT not only as an exceptional sapphire supplier to Apple but also as an unparalleled world-class supplier of sapphire material and equipment to a variety of customers." The CEO also said that his company expects to return to profitability in the second half of 2014. Given the size of his company's contract with Apple, this has drawn some speculation that a new product, such as an iPhone with a sapphire glass display, could launch later this year, but no specific indication to that effect was given by GT Advanced. The component supplier received its first in a series of prepayments from Apple last quarter, as part of a multi-year deal for sapphire glass worth $578 million. That arrangement between GT Advanced and Apple was announced last November, and the deal includes an Arizona factory that will create 700 jobs and employ 1,300 construction workers. Apple's investment is a prepayment that funds the accelerated development of GT Advanced's "next-generation, large capacity" Advanced Sapphire Furnace. 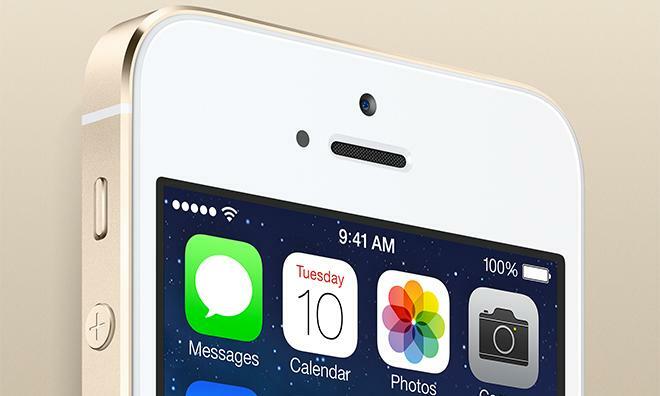 Apple already uses sapphire glass to protect its camera lenses and the Touch ID fingerprint sensor found beneath the home button on the iPhone 5s. The company relies on that material instead of Corning's Gorilla Glass for those specific purposes because of its superior scratch-resistance. Apple Chief Executive Tim Cook was asked about the new Mesa, Ariz., facility last month and confirmed it would be used to build sapphire crystal glass, but unsurprisingly declined to go any further when asked whether that glass could be used for a larger iPhone. Just last week, Mark Shuttleworth, best known for being co-founder of Ubuntu developer Canonical, claimed that Apple scooped up the "entire three-year supply" of sapphire screens his company had originally planned to use in a now-scrapped smartphone, dubbed the Edge. Apple and GT Advanced are rumored to be capable of producing 100 million to 200 million 5-inch iPhone displays per year.